Five years ago, this actor shot into stardom, thanks to his role in Christopher Nolana��s Inception. Incidentally, hea��s got quite a few good films under his belt, including Black Hawk Down (2010), Layer Cake (2004), Tinker Tailor Soldier Spy (2011), and The Dark Knight Rises (2012). It was in Mad Max Fury Road that everyone sat up and noticed this incredibly talented actor. Hea��s got the fitness regimen in place for sure, to take over as one of the X-Men, but his raw energy is what wea��re voting for. And the face, of course. That he can act is no secret. But had it not been for his transformation for the role in Southpaw, Jake Gyllenhaal would not have been a choice a�� ideally speaking. But this actor has some brilliant films as part of his resume a�� October Sky (1999), Donnie Darko (2001), Brokeback Mountain (2005), Zodiac (2007), and Nightcrawler (2014). And now that hea��s got the body that he needed to build to play Billy Hope in Southpaw, he could very well be considered for the role of Wolverine. Plus, he can really pull off the angry look. Yes, he is a bit too suave for this role. But Bradley Cooper can wear different hats. Despite some of his comic outings, Cooper garnered special attention for his role in Silver Linings Playbook (2012), American Hustle (2013), and of course the intense war drama American Sniper (2015). He might need to undergo a bit of a makeover to bring out the rough edges, but with those piercing blue eyes, Wolverine wona��t be impossible for him to pull off. Honestly, Hemsworth would be our first choice. 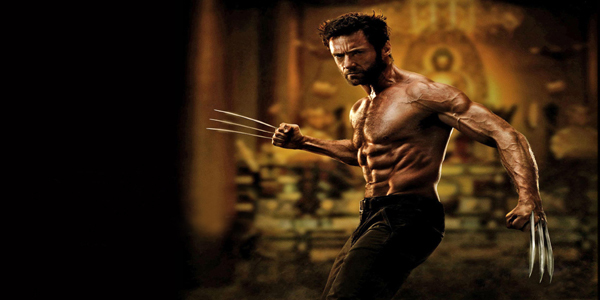 Hea��s got the body to play Wolverine, and enough acting skills to make him a success in the role. And even though he doesna��t look as mean as Wolverine is expected to most of the time, therea��s nothing some acting classes cana��t fix. And after playing Thor in the Avengers series, and George Kirk in Star Trek, hea��s pretty much got the tricks required to fight the bad guys off. And he was the sexiest man alive in 2014, as nominated by People magazine. How does one ignore that? There are two good reasons for nominating Taylor Lautner: he has already played a wolf (even though ita��s in Twilight), and two, hea��s drop dead gorgeous. And despite being the youngest of the lot, and does not have as many films to his credit when compared to our other choices, at 23, Lautner is quite the popular face in Hollywood. With a little training, he can surely bring those claws out well!